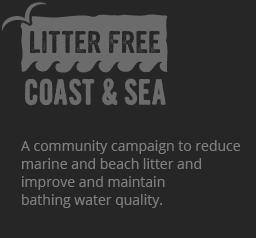 Formed in 2015, this is one of the newest of Litter Free Coast and Sea’s community groups. They run quarterly beach cleans, and are beginning to develop targeted campaigns to reduce specific types of litter on their local beach. Their autumn/winter 2016/17 campaign focuses on angling litter, and involves working with local angling clubs and individuals to help reduce the amount of monofilament line, bait wrappings and tackle left on their local beach. Look out for the group’s next beach clean over the winter, and come along to support this new group and the excellent work they’re doing to clean up the beach at Bowleaze Cove.